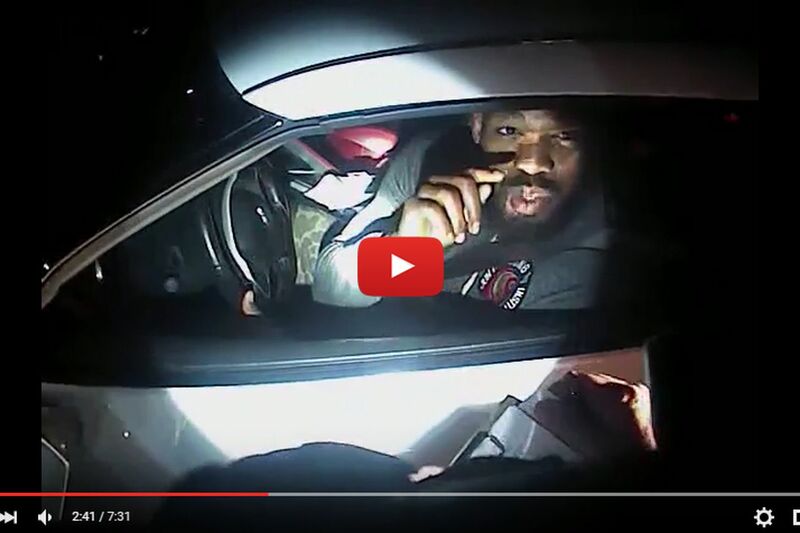 UFC 197 headliner Jon Jones recently revealed he was issued a total of five citations after he was stopped by a police officer in Albuquerque, New Mexico, for his alleged involvement in a drag race. What ensued was a very heated conversation between the former Ultimate Fighting Championship (UFC) light heavyweight champion of the world and the officer in question. On a recent edition of The MMA Hour, Jones says he regrets saying some of the things he did, but declared that his emotions got the best of him since he was being accused of doing something he claims he didn’t do. And it’s understandable, too, as Jon recently caught a huge break in court after a judge gave him a 90-day deferred sentence for prior citations. As part of the sentence, all charges would be dismissed and erased from his record permanently as long as he didn’t receive any more citations within that time. The latest legal situation for Jones comes a few weeks prior to his much-anticipated rematch against 205-pound champion Daniel Cormier, which is expected to go down on April 23, 2016 in Las Vegas, Nevada. It’s also a year removed from his hit-and-run accident — also in “The Duke City” — that led to UFC suspending him and stripping him of his title. Jones is scheduled to appear in court on April 5, 2016.